Middle and high school (8th – 12th grade) girls in the Charleston area are invited to apply to attend The Citadel’s National Security Agency (NSA) and National Science Foundation (NSF) funded cyber security camp to be held on campus for five days in the summer. There is no fee to apply or to attend, if selected. This is the third NSA/NSF GenCyber grant earned by The Citadel, which has been designated a National Center of Academic Excellence in Cyber Defense Education by the NSA and Department of Homeland Security. 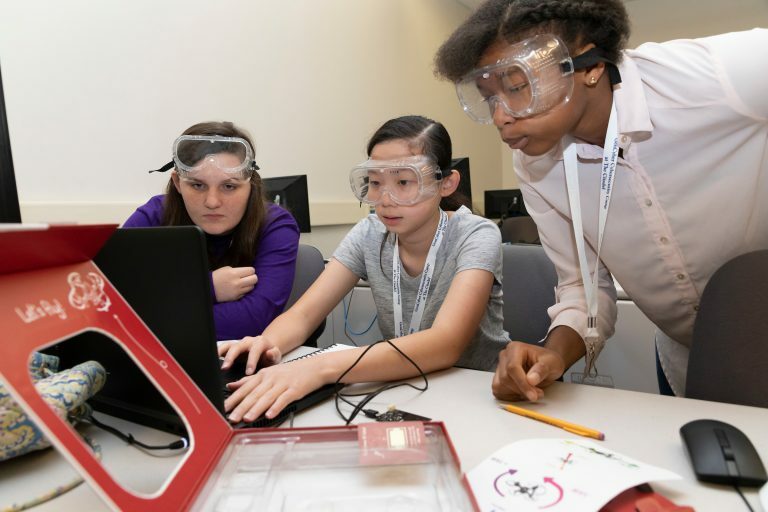 In 2016, the college offered a GenCyber camp for middle and high school teachers, and in 2018 the college hosted a GenCyber camp for K-12 students. Applications are being accepted until April 26 and 20 students will be accepted. Breakfast, lunch and snacks will be provided. To apply to attend the camp, or for more information girls and their parent(s) should go to this website, or call (843) 953-7121. Examples of an expanding cyber force within the Defense Department are all around. The Marine Corps established a new specialty field in October to better defend its computer-based systems and the Air Force added 244 new cyber officers in 2018, a nearly 10 percent increase from the previous year. Increasingly, the military services are focusing on cybersecurity, in part based on information from the Department of Homeland Security citing the potential of a cyberattack exceeding the threat of a physical one. More so, an internal Pentagon report recently obtained by Bloomberg News detailed the need for a larger, more competent workforce — among other suggestions — as concerns of cyberattacks percolate throughout the U.S. military. The internal report from the Pentagon’s combat testing office warned while the military has made progress in defending against in-house attacks designed to test cyber systems, the improvements were not outpacing the growing capabilities of potential adversaries. To better prepare for the growing cyber threat, the military needs a workforce capable of preventing, detecting and mitigating attacks, Robert Behler, the Defense Department’s director of operational test and evaluation, wrote in the report. While it can be challenging to draw competent workers from higher-paying private sector jobs, he suggested the Pentagon increase its employment by better funding the college-to-career pipeline. The Pentagon should provide funding for a select group of military service academies, private companies, universities and national laboratories “to grow the DoD’s cybersecurity testing workforce and capabilities” while developing automated tools because “hiring more cyber experts will not be enough,” Behler said. The law goes on to prioritize programs at the nation’s six senior military colleges because of their large foothold in commissioning officers. Together, these schools commission about 900 military officers each year – about 12 percent of annual ROTC commissions. The University of North Georgia, Texas A&M University, The Citadel, Virginia Tech, Virginia Military Institute and Norwich University make up the nation’s six senior military colleges, as designated by meeting specific requirements of the Title 10 U.S. Code in their ROTC programs. Together, these universities are lobbying for further support and funding – primarily to expand their offerings and create more scholarships for students. “Our intent was to work with the Department of Defense, so they could help us take that next step,” said retired Col. Sharon Hamilton, director of liaison and military operations at the University of North Georgia’s Institute for Leadership and Strategic Studies. Five of the six senior military colleges already have cyber programs with aligned curriculum as recognition of academic excellence by the National Security Agency. The allocation requires they meet very specific criteria and include certain areas in curriculum such as cryptology, network defense and cyber security principals. It also makes students eligible to apply for scholarships, internships, and grants through the Defense Department. Scott Stewart, vice president of tactical analysis with Stratfor, a private, intelligence firm based in Austin, Texas, said the idea of turning to colleges is a logical step in the process of increasing personnel and improving cyber security. Stewart mentioned the Equifax breach that exposed the sensitive information of 143 million Americans in 2017 combined with the 21.5 million records stolen from the Office of Personnel Management two years prior as a potential way for enemies to use cyberattacks to ferret out the names of intelligence officers. Other types of threats include shutting down public utilities, attacking financial institutions or compromising democracy by hacking voting systems. They can come from adversaries such as Russia, China and North Korea, cyber criminals, activists and terrorist organizations, said retired Air Force Maj. Gen. Jim Keffler, director of cyber at Lockheed Martin Government Affairs, which manages the company’s U.S. government customer relationships and develops policy, regulatory and legislative strategies with Congress for all Lockheed Martin programs, products and services. This is what the U.S. government is primarily concerned with, he added, including the Defense Department. Students studying cyber curriculum get an interdisciplinary education that can include the study of strategic foreign languages, cyber security engineering, policy, management, cyber security law and computer science. The universities and the Defense Department see this plan as a way to generate more cyber experts ready to fill jobs with high security clearances at military and government organizations. Hamilton envisions new funding to support scholarships that commit students to work a couple years with Defense Department entities — perhaps even finalizing their security clearance before graduation so they can go straight to work. “Once you show someone and you introduce them to your culture, if its good fit, they’re going to stay,” she said. The Defense Department’s cyber community has about 6,200 people, when including personnel from U.S. Cyber Command, the individual services and the Cyber Mission Force, which directs and coordinates cyberspace operations, according to information provided by Cyber Command. Each military branch also has its own variation of cyber commands and operations. Within the Marines, cyber-specific officers are new to the playing field. The branch launched their cyber occupational specialty in October and now has more than 100 cyberspace operation officers, said Capt. Joseph Butterfield, a spokesman with Marine Corps. The occupational field consists of officers who laterally moved from a previous occupation. The Marine Corps plans to designate 10 newly commissioned cyber officers each fiscal year. 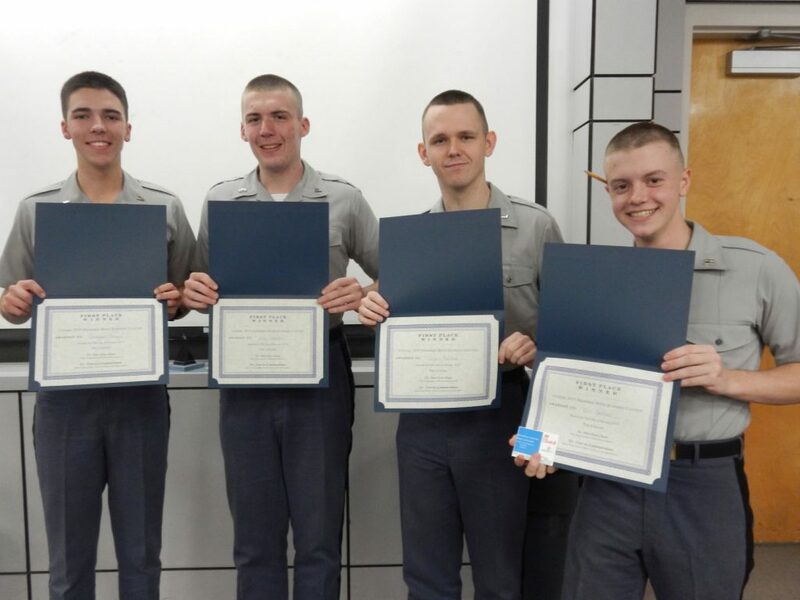 The first two officers directly designated as cyberspace graduated from basic officer training in December and are now training for their specialty field, Butterfield said. These cyber Marines have the technical expertise to design defenses and protect digital information systems. Meanwhile, the Air Force’s cyber operation began formally in 2009 with the creation of the 24th Air Force, now known as the Air Forces Cyber. It’s home to about 600 officers – 244 of whom joined the force in 2018, said Capt. Lauren Woods, spokeswoman for Air Forces Cyber. That’s up from 223 the previous year. Developing leaders is where the senior military college officials believe they can help. Five of the six universities offer a minor in cyber security, two have a bachelor’s degrees and two have graduate-level certificates. Together, they are planning to go to Congress and ask for funding to accompany the cyber institute guidance outlined in the NDAA. “We can leverage things already in place and focus on interdisciplinary skills. Cyber is wonderful, but we want to build some interdisciplinary skills. We’re not only producing great cyber graduates but developing great cyber leaders,” said Hamilton of North Georgia. 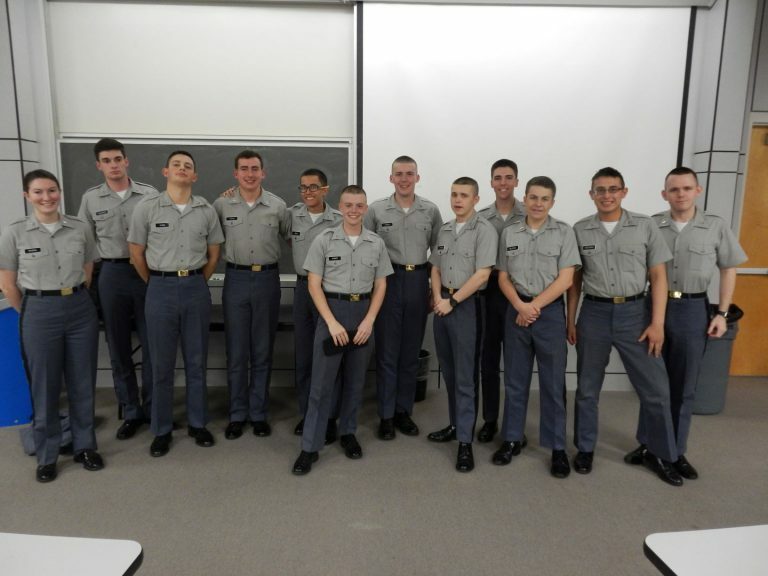 The leadership foundation of an ROTC program is what sets their programs apart from other universities, said Carl Jensen, interim leader of the Department of Intelligence and Security Studies at The Citadel. Agencies such as the FBI and CIA “like our graduates not just because of their academic skills, but also because of the focus on ethical leadership, loyalty and modesty. All the sort of things The Citadel tries to instill in graduates is exactly the sort of person who the public and private intelligence companies and defense contractors want to hire,” he said. In 2016, 13 graduating seniors from The Citadel’s program were hired by the FBI straight out of college, Jensen said. In fall 2018, 104 freshmen at The Citadel declared intelligence and homeland security as their major. The Department of Intelligence and Security Studies, which houses the major, was launched in the fall. 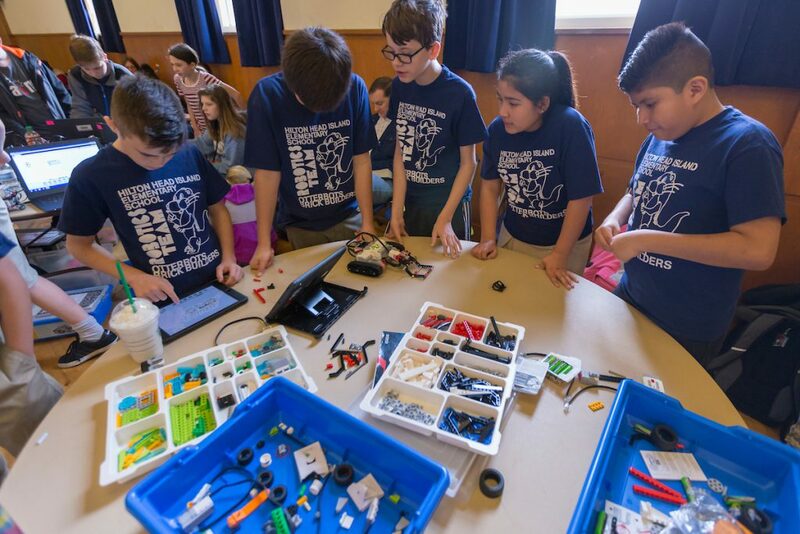 Additional funding would expand student opportunities beyond the classroom, allowing for more cyber competitions, off-campus trips, expanding facilities and bringing more speakers and professional development. Cyber programs at A&M began in the 1990s and have grown to accommodate about 650 students. A minor launched in 2016 is now one of the largest in the engineering department, Ragsdale said. “[Students] have beaten down the doors. The demand is off the charts,” he said. In the past three years, Texas A&M has received more than $5 million in grants from the National Science Foundation and the Defense Department for scholarships to award to more than 50 students for the pursuit of studies in cyber security. Eight scholarship recipients have already completed their studies, 13 scholarship recipients are enrolled, and 30 scholarships are available in subsequent years. Next year, The Citadel plans to renovate a space to house a cyber-intelligence suite designed to look and feel like the operations centers at the FBI and CIA. The space will include a cyber range and a cyber lab with dedicated software to work cyber security problems. Jensen said they are also seeking sponsorship to build a sealed room to work classified material, known as a sensitive compartmented information facility, or SCIF. This would allow students and faculty with a security clearance to work on classified government projects. Clue: An annual event where cadets competed for vouchers to the school’s canteen and Chick-Fil-A. Answer: What is The Math Jeopardy Contest for Freshmen? After two rounds of math questions, lasting just over two hours, team “Crystal Math” went home with the first place prize. 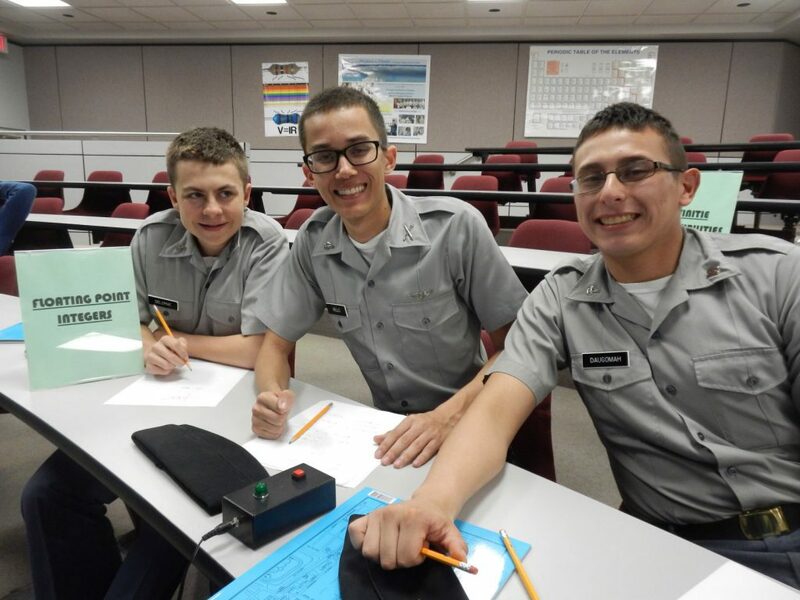 This year, three teams made up of 11 cadets competed in the event. “Floating Point Integers” came in second place and “Fracturing Fractals” placed third. In the first round, “Crystal Math” pulled ahead, answering question after question. In the second round, the other two teams started to catch back up, but the big prize still went to “Crystal Math” in the end. “This year’s participants were very enthusiastic about their responses, often continuing to talk about the question after it had been answered. There were also times when there would be absolute silence as the students worked to figure out the problem before the two minute timer ran out. 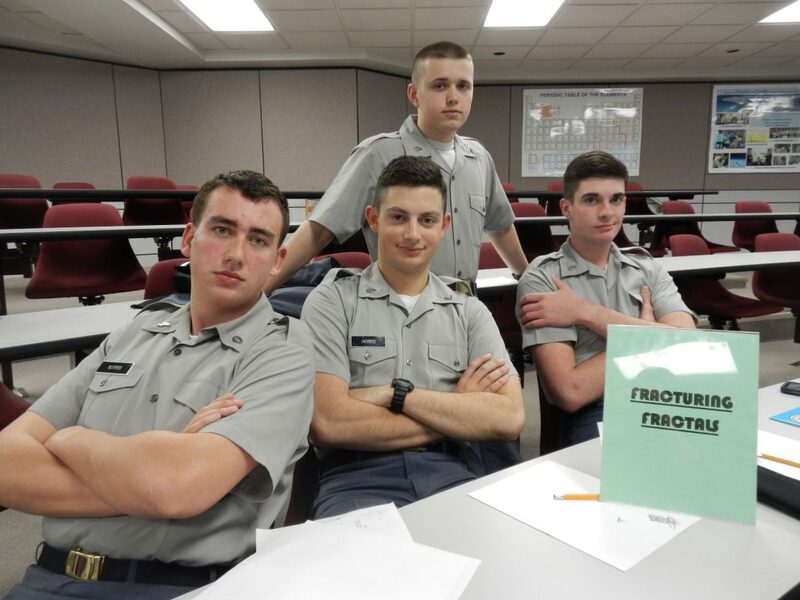 We had one response that lost points for a wrong answer as they forgot to phrase it as a question, but that only happened once,” said Cadet Elizabeth Spoehel, one of this year’s organizers. The topics covered in the competition included: Lazy Day Limits, Allegedly Difficult Antiderivatives, Intriguing Intervals, and Continuity Curiosities. The Math Jeopardy Contest for Freshmen is hosted by The Department of Mathematical Sciences. Those who compete are studying a variety of majors, ranging from Mathematics, Computer Science, Engineering and more. The South Carolina Student Nurses Association has new leadership, which includes two cadets and one student from The Citadel. 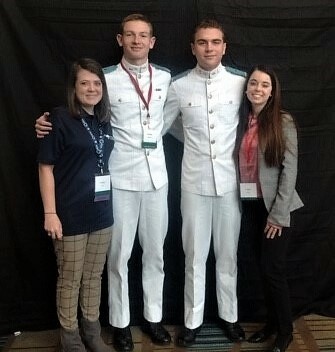 At the January convention, the association elected Cadet William (Miller) Brunson, a junior, as its treasurer, Cadet Andrew Mappus, a sophomore, as its breakthrough nursing director, and Charity Pippin, a junior evening undergraduate nursing student, as its community Health Director and delegate to the national Convention. Also representing The Citadel at the annual convention was another evening undergraduate nursing student, Crystyn Neely. 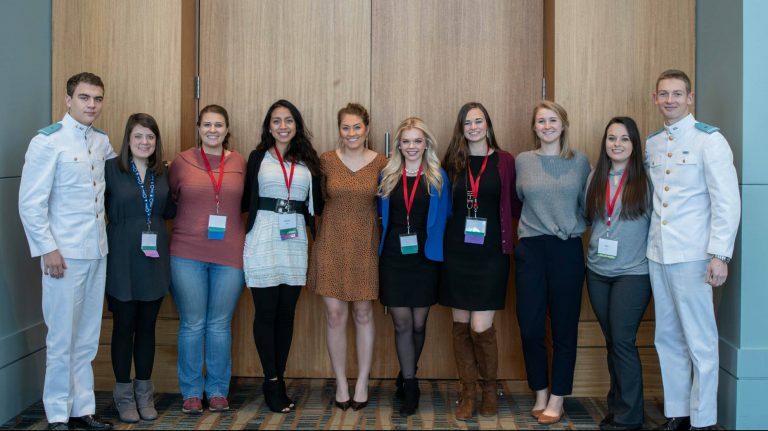 The Student Nurses Association says being a board member gives students a chance to improve their professional development by leading and mentoring other student nurses across the state. 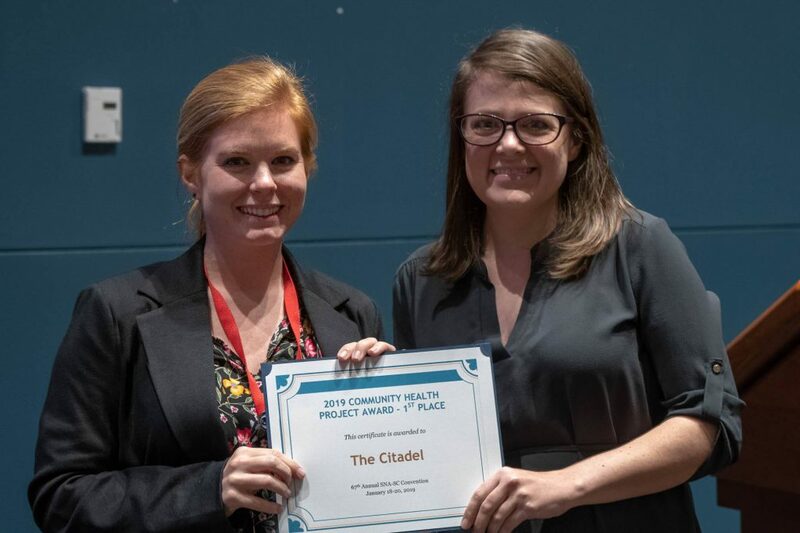 The Citadel also won the 2019 Community Health Project Award for providing more supplies for the homeless than any other school represented at the conference. This recognition comes ahead of the Citadel’s inaugural nursing pinning ceremony, when nursing students are symbolically welcomed into the profession. One cadet and 20 students are expected to be the first to graduate from The Citadel’s nursing program in May 2019. All nursing students at The Citadel are encouraged to attend an informational meeting to discuss joining SNA and forming a chapter at the Citadel. That meeting will be Tuesday, January 29 at 5:00 pm in Deas Hall 219b. 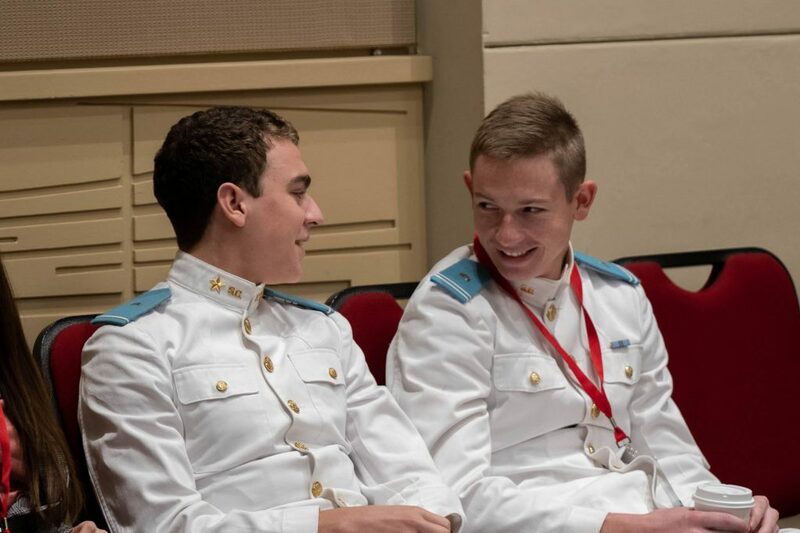 The Citadel offers cadets and veteran students a traditional four-year bachelor’s degree in nursing, while an evening completion program is offered for community students who have earned the required general education and prerequisite courses at another institution. The Citadel offers the only evening bachelor of science in nursing program in the Lowcountry. The first multi-academic institution center in South Carolina to study the effects of ocean health-related illness and the interactions from climate change is initializing its operations. 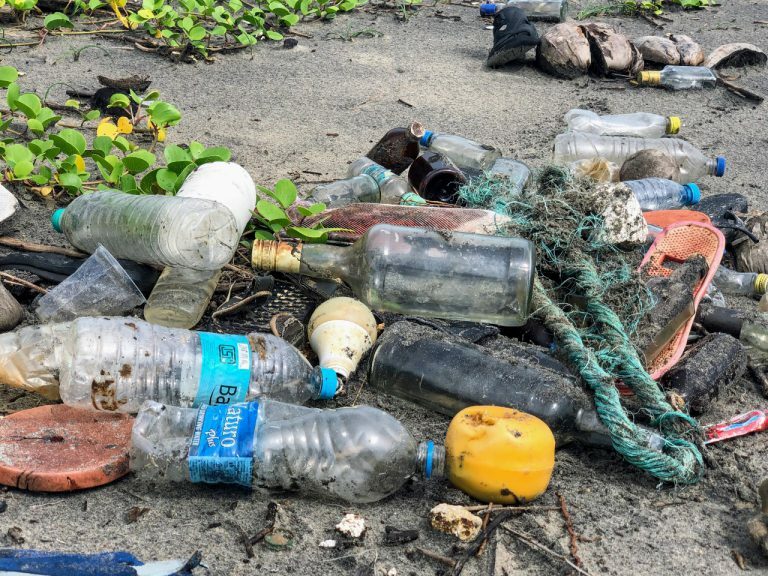 Funded by a $5.7 million grant from the National Institute of Environmental Health Sciences (NIEHS), more than 20 researchers from five colleges and universities are beginning their work aimed at better protecting human health through the new Center for Oceans and Human Health and Climate Change Interactions. The University of South Carolina, College of Charleston, The Citadel, Baylor University, and the University of Maryland Center for Environmental Science were awarded the NIEHS grant in the fall of 2018 for the center that is headquartered at the University of South Carolina’s (USC) Arnold School of Public Health, in Columbia. The Center will be led by Geoffrey I. Scott, clinical professor and chair in the USC Department of Environmental Health Sciences. The Center’s deputy director is Paul A. Sandifer, director of the Center for Coastal Environmental and Human Health at the College of Charleston. Scott and Sandifer will work with a team of scientists who are faculty leaders at all five institutions. Additionally, researchers and environmental public health practitioners from the National Oceanic and Atmospheric Administration, the U.S. Geological Survey, the Interstate Shellfish Sanitation Conference, and the Lowcountry Alliance for Model Communities will participate. The OHHCI scientists will work on different portions of the research simultaneously to maximize the results more efficiently. 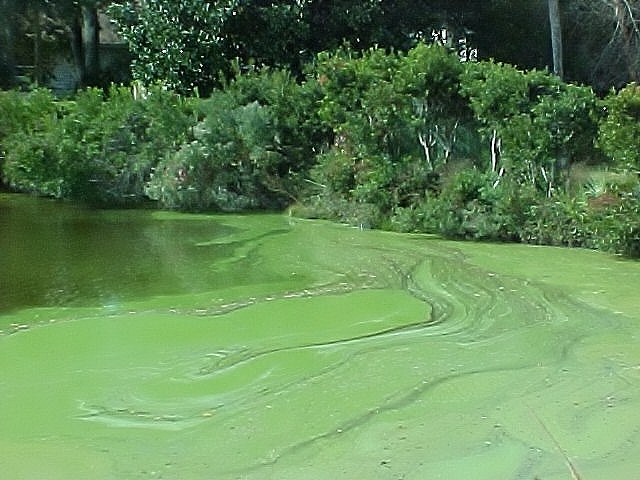 The USC team will assess impacts of increased exposure to climate stressors (rising temperatures and changing salinities) on associated diseases and illness, such as Vibrio bacteria in seafood and wound infections, and on harmful algal bloom toxin effects non-alcoholic fatty liver disease. These analyses will indicate the extent and magnitude that climate change may have on these illnesses under future climate scenarios. This will be used to better identify vulnerable populations and help tailor community-engagement activities for these susceptible communitieshttps://youtu.be/UTRwSlyEv6w. Co-investigators at USC include Sean Norman, Alan Decho, Jamie Lead, Saurabh Chatterjee, Shuo Xiao, Dwayne Porter (USC Environmental Health Sciences), Bo Cai (USC Epidemiology and Biostatistics), Daniela Friedman (USC Health Promotion, Education, and Behavior), and John Ferry, Tim Shaw, Susan Richardson (USC Chemistry). Drs. 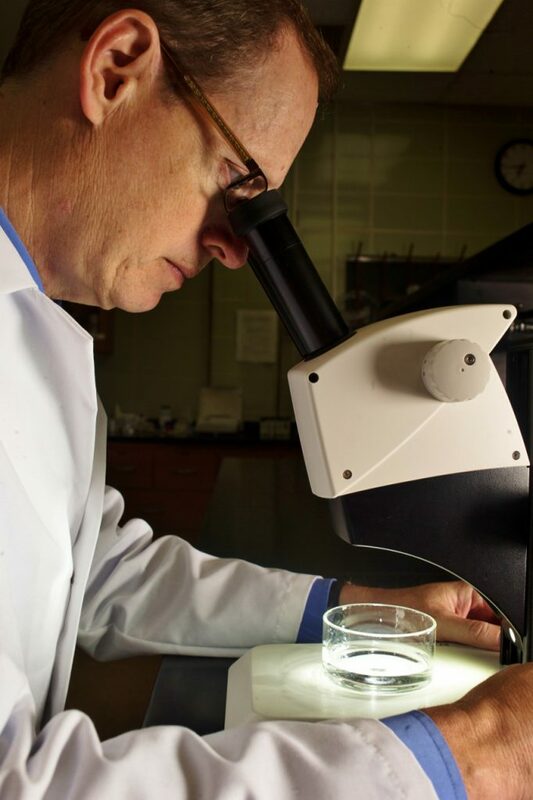 Bryan Brooks, Thad Scott, and Scott James of Baylor University will lead the research on Harmful Algal Blooms. Dr. John Weinstein of the Department of Biology at the Citadel will lead the research on the environmental health effects of microplastics. Dr. Heath Kelsey of the University of Maryland Center for Environmental Science will be part of the Center focused on community engagement, facilitating communication amongst the researchers and communities. The Center is engaging in field and laboratory projects in South Carolina and Texas and will lead related community engagement through a variety of venues. For more information, please see the Center website at the Arnold School of Public Health website or contact the Center’s Office at 803-777-8940. Inside three shipping containers on the campus of The Citadel, a military college in South Carolina, cadets are learning how to grow lettuce crops in a controlled indoor “farm” setting, producing organic produce in an environment that can withstand unpredictable weather conditions and disease. 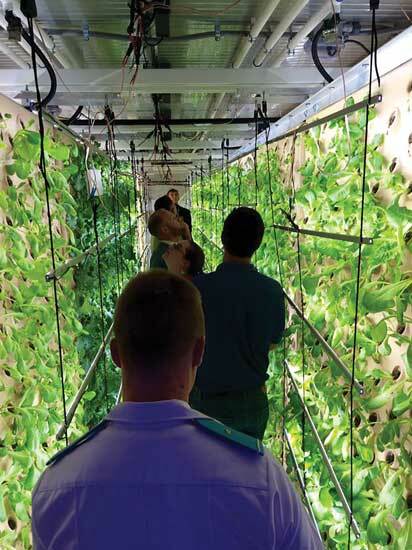 The cadets’ hands-on education comes from The Citadel Sustainability Project, in which the first shipping container functions as a hydroponic cultivation system for lettuce crops, the second container is a testing ground for various growing systems, and the third container will be outfitted by cadets who design and build the growing equipment as part of a corresponding independent study. The Citadel STEM Center of Excellence initiated the project in 2016 as an interdisciplinary collaboration. Of the 20 or so students who are members of the Sustainability Club, several are STEM Scholars. We also have electrical engineers who are completing a design project on hydroponics. We’ve had students from almost every campus department — engineering, biology, business — who have worked with the project. Prior to their graduation, Alex Richardson, who studied engineering, and Cameron Brown, who studied business, managed the growing container with the help of other students motivated by a passion for the environment. We’re currently growing more than 4,400 plants in the shipping containers, including collards, lettuce, spinach, and herbs. The nutrients used to grow the crops are recycled within the system’s 100-gallon reservoir and are managed through a smartphone application. The app tracks the metallic minerals in the water and sends nutrients to the plants every 10 minutes. It also displays the water’s temperature and the container’s carbon dioxide and pH levels. More than 4,400 plants, including collards, lettuce, spinach, and herbs, grow in the container. Photo by Stefanie Swackhammer. The transformation from seed to harvest inside the shipping container farm occurs in five weeks, compared with the 10 weeks the crops would need in an outdoor environment. 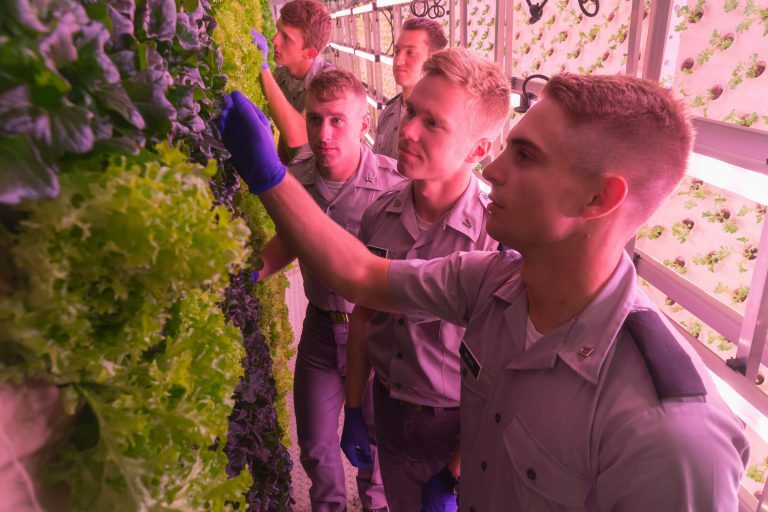 Thanks to high-density crop production, the cadets harvest more than 800 heads of lettuce per week for the campus restaurant’s salad bar as well as events. Additionally, cadets get to eat the fresh lettuce in the student mess hall. If the growing container is running at full capacity, the 320-square-foot space can yield about 40,000 heads of lettuce per year. Each container is valued at $115,000 after it’s outfitted. The cadets intend to make the project sustainable by putting profits from the crops toward the purchase of more containers. “Our self-propagating irrigation system uses up to 98 percent less water than conventional industrial farming does,” says Brown, who wrote the project’s business plan. “We want to expand, grow more, and sustain this Earth-friendly initiative, making our healthy produce available to more members of our community. In addition to providing a sustainable food source, the goal of the project is to help young entrepreneurs and members of other disciplines gain hands-on experience. We also try to bring in high school students. Last spring, students from Burke High School, which is next door to our campus, incorporated the indoor farm into one of their projects. Then, a 10th grade economics class wrote business plans for the container with data we provided, and followed up with two field trips to the container. 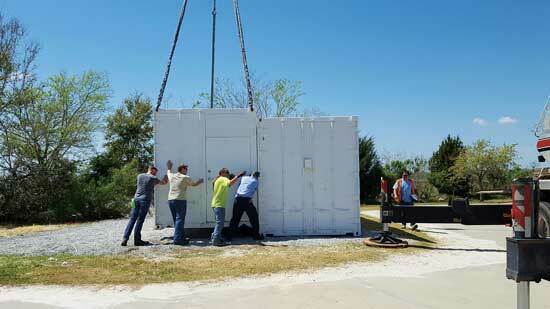 The container farm is installed in a corner of campus, leaving room for expansion. Photo by The Citadel. The shipping container farm is located in a back corner of campus near the marsh, with plenty of room for expansion. We’ve submitted a National Science Foundation grant application with The GEL Group, AmplifiedAg, and SuperGreen Solutions to design a system that would filter excess nutrients out of treated wastewater and incorporate sustainable energy so the system could be viable anywhere. Ultimately, we’d like to expand the project to be able to produce more fresh food for the South Carolina Corps of Cadets, which comprises the college’s undergraduate population. Our advice for other schools thinking about starting a small, sustainable farm like ours: Have a faculty member who’s invested in the success of the project and understands that student interest will wax and wane depending on schedules. It’s also important to have a succession and mentoring plan for students. Seniors mentor juniors; juniors work with underclassmen. That will keep the farm going strong. Jennifer Albert is the director of The Citadel STEM Center of Excellence. Dalia Martinez graduated from The Citadel in May 2018, and is now a researcher at The Medical University of South Carolina. A recent study shows the health of young adults from 10 southern states a hindrance to the United States Army, and a subsequent national security crisis. In a report released by The Citadel, the Army has seen an overall increase of overweight recruits who can’t pass entry-level physical fitness tests. 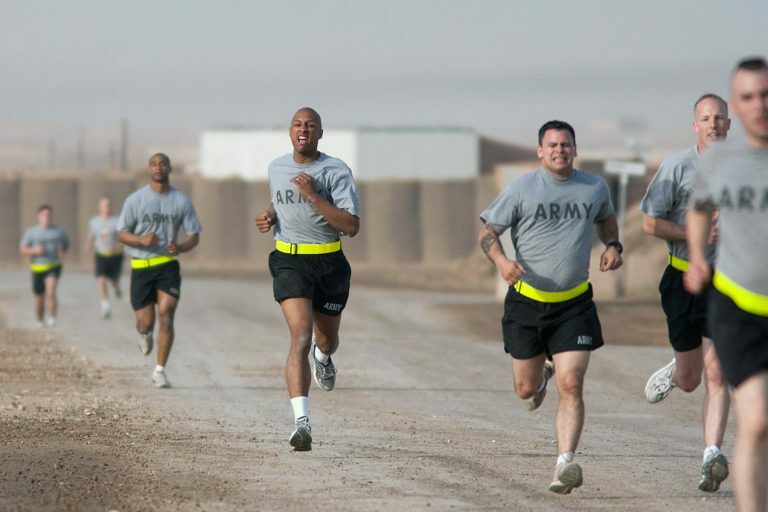 The results of the study coincides with the Army’s decision to raise the level of a recruit’s fitness and combat readiness, prompting the military to release a website to get future soldiers ready in advance of their basic training. The Citadel conducted the survey this year with the U.S. Army Public Health Center and the American Heart Association and determined that overweight military recruits has led to more training injuries and an overhaul with a preemptive training process. According to the study, the states of Texas, Louisiana, Mississippi, Alabama, Florida, Georgia, Tennessee, Arkansas, South Carolina, and North Carolina have the worst fitness and cardio levels for incoming recruits. Eduardo Sanchez, the chief medical officer for prevention and chief of the Center for Health Metrics and Evaluation for the American Heart Association, said geography and local education systems play a role in shaping these young adults. The report says that 27 percent of potential enlistees aged 17 to 24 are too obese, or overweight, to qualify for military service. Furthermore, the study reveals that 47 percent of men and 59 percent of women fail the Army’s entry-level training test. The Army now will play a proactive role to get recruits ready in advance of basic training rather than be reactive and get them ready once they check on the base and get a bag full of gear. The website the armed services branch launched includes training tutorials and videos that will prep soldiers for the Army Combat Fitness Test (ACFT). The site includes initiatives from the Army for improving soldier and unit readiness, to transform the Army’s fitness culture, reduce preventable injuries and to enhance mental toughness. The ACFT has six main events, including 3-rep maximum deadlift, standing power throw, hand-release push-ups, a 250-meter sprint-drag-carry, leg tuck, and 2-mile run. The ACFT site details each event with fitness components, its standard equipment and how the field test is evaluated. At the end of each exercise, it shows how those events correspond to combat readiness. “If you can’t get in shape in 24 months, then maybe you should hit the road,” Army Chief of Staff Gen. Mark Milley said last month in Military.com. “We don’t want to lose thousands of soldiers to [the ACFT]. This fitness test is hard. No one should be under any illusions about it. But we really don’t want to lose soldiers on the battlefield. We don’t want young men and women to get killed in action because they weren’t fit,” Milley said. The decision of the Army to up its physical fitness requirements comes alongside a time when so many recruits are coming in not prepared for the rigors. The Army began a field trial of the ACFT in October this year with master fitness trainers at select units. The ACFT will go through two more trial phases before it becomes the Army’s physical test of record no later than October 2020. Daniel Bornstein, Ph.D., who conducted the research and authored the report referenced in this Newsweek article, is an assistant professor in The Citadel Department of Health and Human Performance. 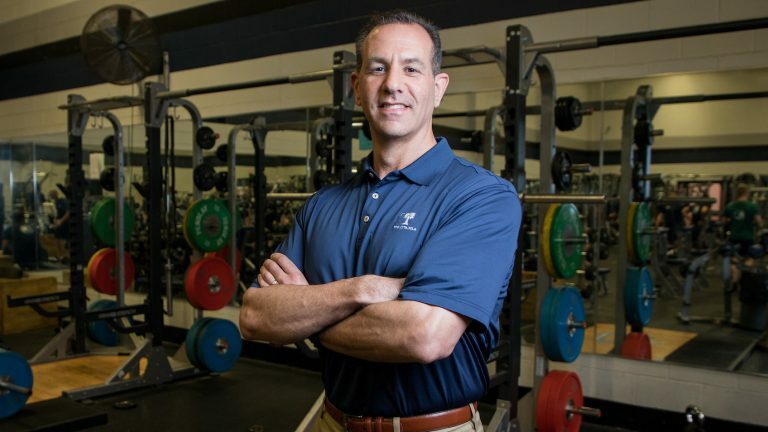 He began working at The Citadel in 2013 after completing his Ph.D. in Exercise Science from the University of South Carolina. Bornstein has published extensively and presents regularly at national and international conferences in the areas of physical activity and public health including physical activity monitoring, physical activity communication, physical activity policy and physical activity messaging. 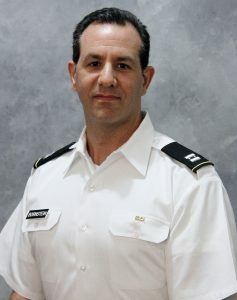 He is currently leading a series of research studies investigating the impacts of physical inactivity and low physical fitness on military readiness and national security. Bornstein recently announced the release of a new book he co-authored, Physical Activity and Public Health Practice. The book will be available for purchase in January 2019. It written to help people design, deliver and evaluate physical activity interventions in order to improve fitness, health and security of the nation. Learn about more of The Citadel’s faculty experts here. 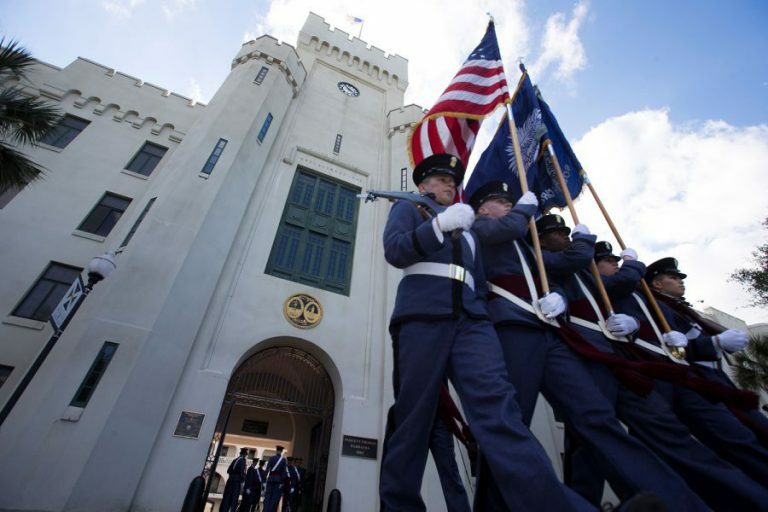 The STEM Center of Excellence at The Citadel is preparing people of all ages for jobs that a growing number of businesses throughout the Lowcountry need to fill. 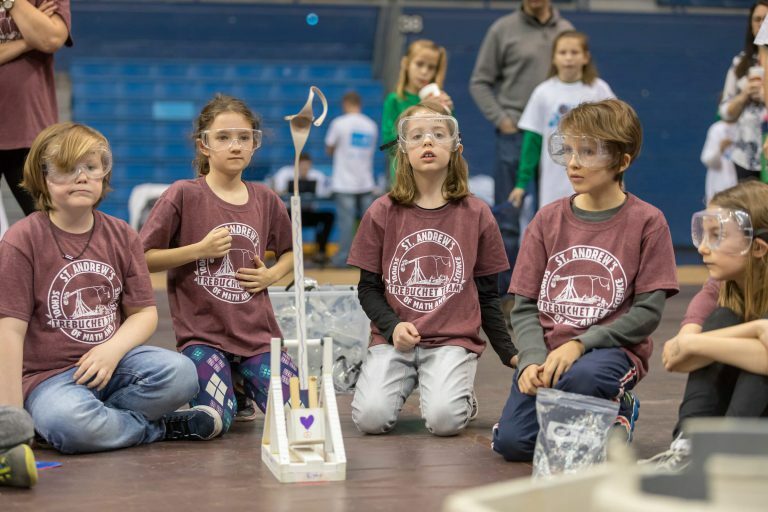 Dr. Jennifer Albert, Director of the STEM Center of Excellence at The Citadel said it was originally organized because the college recognized a need for outreach programs for K-12 participants in the Lowcountry. But eventually, those programs expanded to include people of all ages. “Some programs such as our Storm The Citadel event, bring thousands of people to campus,” she said. STEM stands for science, technology, engineering, and math. The STEM Center offers various programs for students of all ages, and teachers. The effort is to make programs free or low-cost to participants. Albert said a program is available through the Charleston Metro Chamber of Commerce that educates students for jobs local businesses need to fill. “In a lot of cases they can start working in high school with paid internships, get certifications and an associate’s degree for free with the internship programs and come out with a great-paying job and absolutely no debt,” she said. Saturday, December 15, The Citadel STEM center hosted Cookies, Cocoa and Coding from 10 a.m. – noon at Thompson Hall for K-12 students and their parents.